As early as August 18.2009,Matic joined Chelsea with £1.5 million and signed a 4-year contact. In August 2010, he has been rent to Vitesse in order to add more first -team experience.In 2011-12 season,he was rent to SL Benfica.Thanks to the first-team experience ,his performances grew more mature.The first season that Matic joined to Benfica,he made a great success,in 2012-13 season,he showed his shining.All of those good performances made Chelsea realized it’s time to sign their perfect midfielder back. So in the early days of January 16,2014,Chelsea officially announced,they signed Matic from Benfica with a 5 and half contact, transfer bee was about £21 million. 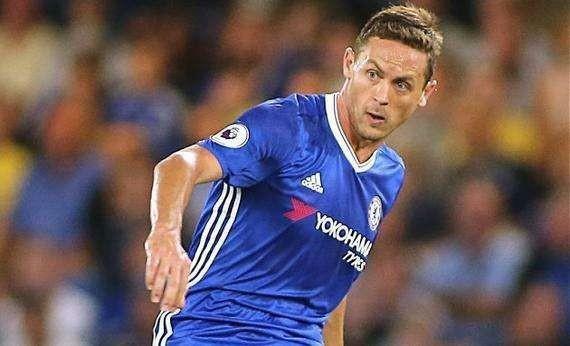 On every 2014-15 season’s event,Matic became the major player, participated in 37 matches,winning rate is up to 70.3%;Matic only missed 3 matches,but the Blue army lost 2 without him,the winning suddenly rate fell to 33.3%.This difference could be said a big gap.Chelsea averagely lost only 0.8 goals per game under with Matic,but the other 3 games averagely lost is up to 2 goals.We can see Matic’s importance for Chelsea.Matic is not a total stolen monster,he is good at midfield scheduling.In Chelsea,only Fabregas’s passing times are more than Matic. Although Matci’s performances fell a little at last season,even once rumors Chelsea to sell Matic, Juventus issued a quotation.But with the arrival of Conti,Matic found himself again.The block consists of he and Kante,is the key to make Chelsea’s points has a commanding lead on Premire League. Matic is high to 194cm,this inbuilt advantage makes many gamers choose this midfielder who owns a huge model,at the same time, “high-defense and average-attack” make his defense more stable.This big guy’s golden card, both of physical strength and power are up to 90,with a good defensive data,but the speed is not good,those for general gamers are quite good to choose.